Who would have thought that “Free Fallin'” would be the Tom Petty song that gave me writer’s block? 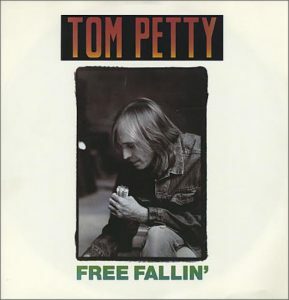 Here’s the thing: I’m not even sure from which angle to come at “Free Fallin’,” a song that has been completely ubiquitous since it was released in 1989, and — along with “The Waiting,” and “Don’t Come Around Here No More” — is probably the man’s greatest song. At the very least, it’s the Tom Petty of Tom Petty’s songs.